Far out! 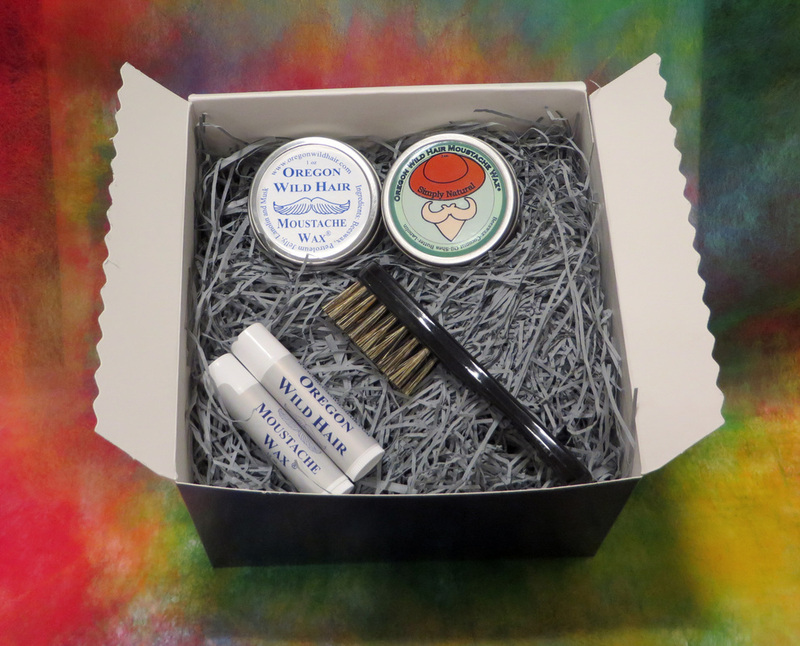 This Father's Day Special offers a sampling of Oregon Wild Hair Moustache Wax® products in an attractive gift box. Delight the moustachioed fathers in your life with: one tin of Oregon Wild Hair Moustache Wax® original formula; one tin of Oregon Wild Hair Moustache Wax® simply natural; two tubes of Oregon Wild Hair Moustache Wax® Travel Tubes; and one Oregon Wild Hair Moustache Wax Moustache Brush, all for $39.95 with free shipping in the United States.